While Covered California is the marketplace in which individuals can sign up for health insurance, a branch of it known as Covered California for Small Business helps business owners with Covered California enrollment and plans. Tax credits for small businesses are only available if you purchase through the “SHOP” Exchange which is enrolled through Covered California. Tax credits are available for companies with less than 25 full-time equivalent employees and the average wage is less than $50,000. Although this may sound easy to qualify, there are many exceptions-this is only a guideline. We are a certified Covered California Agency and can explain and go over in detail how to qualify. The first step is to find out if you’re eligible for small group health insurance. Eligible companies include those with less than 100 employees, the majority of which live in the state of California. At least one of those employees must also be regular W-2 employees. In other words, they can’t all be independent contractors or freelance workers. 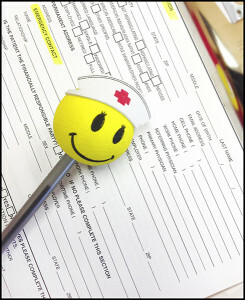 Employers must then weigh the pros and cons of purchasing small group health insurance. In most cases, Covered California enrollment and plan sign-up is beneficial to the company, offering better financial status, tax advantages and more loyal employees. Small business owners must then determine which plan is the best for their business. One of the easiest ways to do this is to consult an insurance broker who can help answer questions and outline all of your options. There are six different companies offering year-round enrollment when you apply for Covered California for Small Business, including Blue Shield of California, Chinese Community Health Plan, Health Net, Kaiser Permanente, Sharp Health Plan and Western Health Advantage. Who can help me apply for Covered California? When it comes to Covered California enrollment and plans, turn to California Exchange Plans. With exceptional experience and understanding of the new health exchange market, California Exchange Plans is the ideal way to determine which small group health insurance plans are best for your business.. Give us a call at 714-960-4700 or ask questions through our online form today.